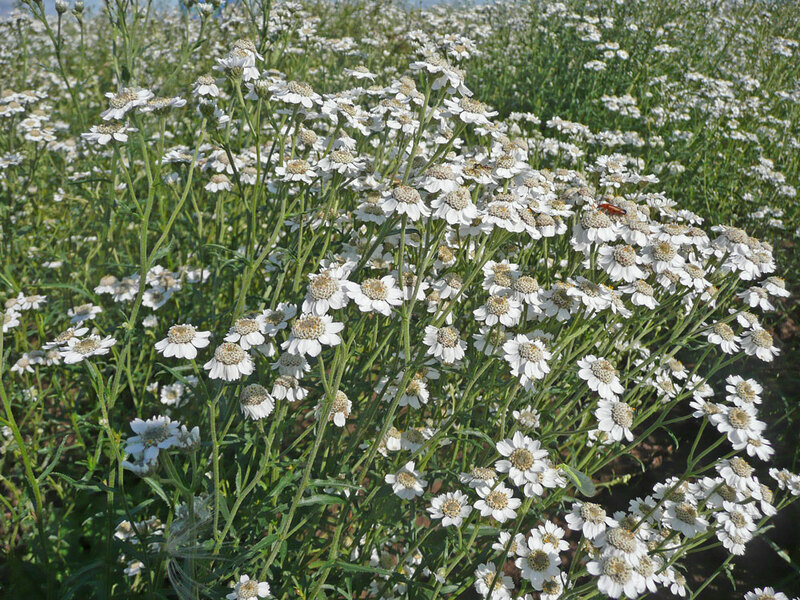 Sneezewort is a grayish perennial with an erect, slightly hairy stem that grows to about 60cm and dies back in the winter. 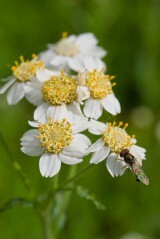 The composite flowers consist of off-white, short and broad rays (petals) surrounding a yellowish brown disc floret. Flowering is from July to September. This is a plant of damp or wet habitats on a wide range of neutral to slightly acid soils. It is particularly associated with mires, water meadows, rush-pastures and stream-sides but can occasionally be found in wet woodlands and waste ground. 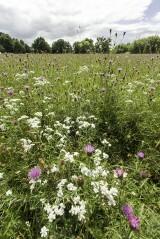 The open flowers are attractive to a wide range of pollinating insects, particularly hoverflies. 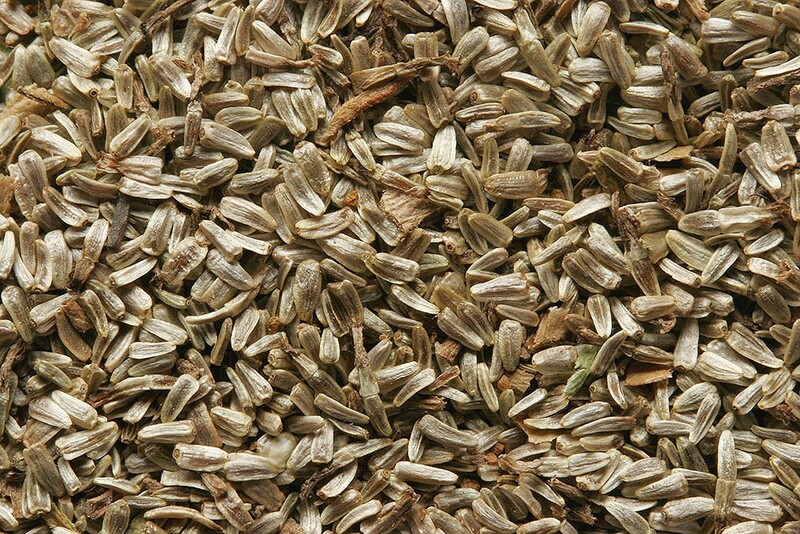 Sneezewort germinates freely and can be sown at any time of the year, although in the wild it is normally from windblown seed that germinates in the autumn. Once established reproduction is by lateral vegetative spread with seed being of little or no importance. Sneezewort is a component of EP1 (pond edge mixture) but could also be added to EM8 (meadow mixture for wet soils) or EW1 (woodland mixture) if your site is damp. Being attractive, it is worth growing in its own right and used as any other garden plant. 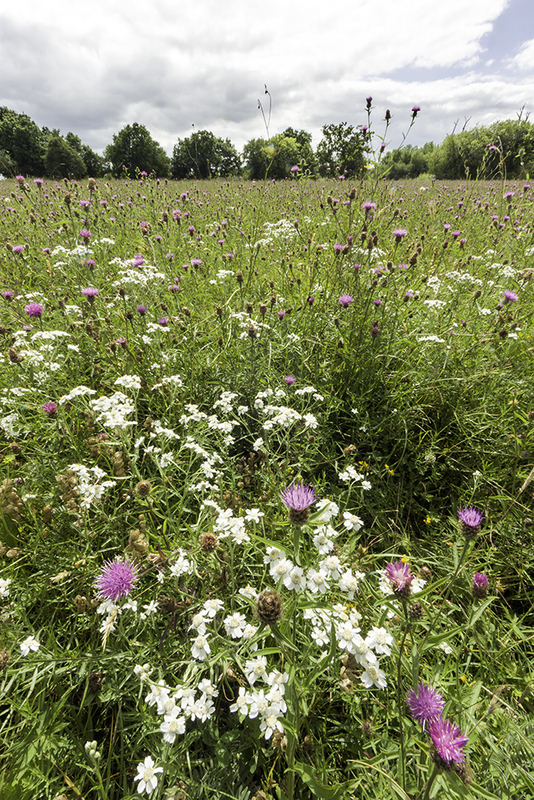 If planted in too dry a habitat it may be prone to powdery mildew. You can order any quantity of this species from 1g up to 100g. Please contact us if you require more.